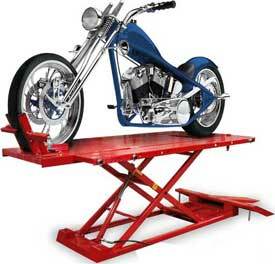 Motorcycle Lift Tables - Manual, Electric or Air. ATV, UTV, Trike. 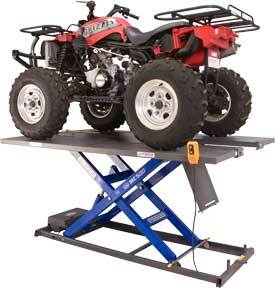 Quickly lift Motorcycles, ATVs, UTVs or Trikes to an ergonomic height for maintenance and service. 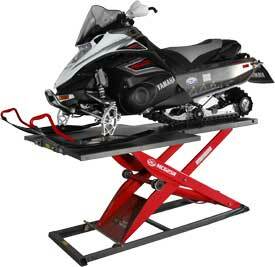 We offer a wide range of models from leading U.S. manufacturerers. From economically priced air lift tables to professional grade electric-hydraulic and pneumatic lifts. If you are looking for a specific product that you cannot find on our website, please contact us as we are adding new models currently.